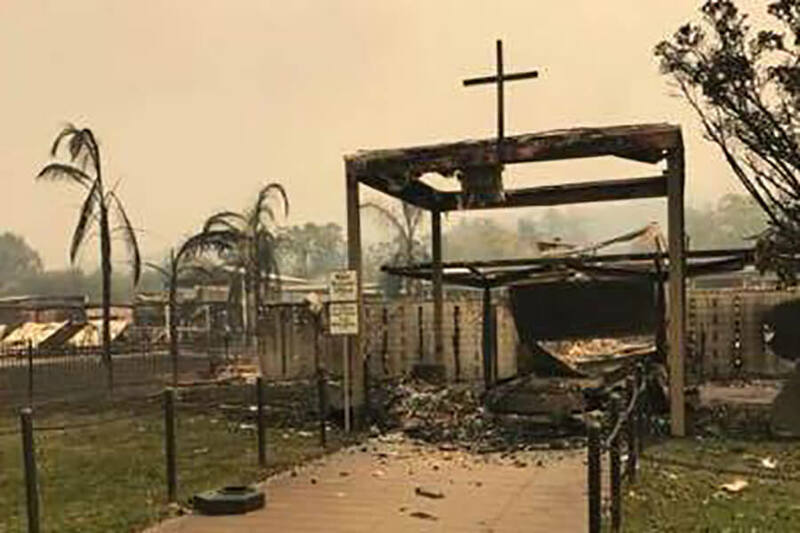 SANTA ROSA, Calif. – The Diocese of Santa Rosa “has been hit hard” and “is in an ongoing state of uncertainty” because of Northern California wildfires that began the night of Oct. 8, said Bishop Robert F. Vasa. At least 12 major fires were raging across the region, according to news reports. Of those 12, at least five were zero to 5 percent contained, and the rest were 15 to 70 percent contained. Fanned by warm winds, they devastated a vast swath of North California’s wine country and forced 20,000 to evacuate. They left at least 23 people dead, and hundreds of others were missing. 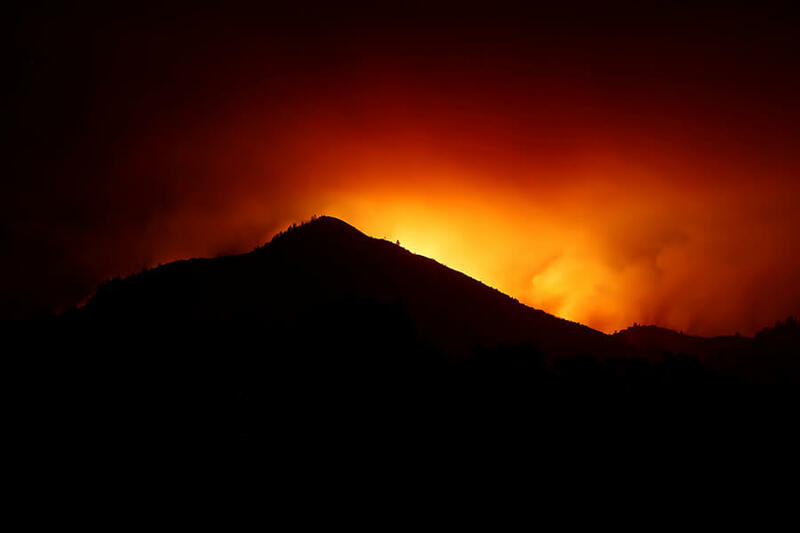 A CNN report noted how fast-moving the fires are, saying they “torched 20,000 acres in 12 hours.” Local civic authorities said factors that contributed to the rapid spread of the flames included dry conditions, high-speed winds and lots of vegetation. Over 17 fires were burning across the state, including in Southern California; more than 115,000 acres had burned. In Santa Rosa, Bishop Vasa reported that most of the parishes in the diocese were fine but that a Catholic high school and elementary school that share a campus suffered serious damage. Early reports indicated that “a significant portion” of the high school had been destroyed. However, they verified that the library, the main office building and portable buildings that housed several classrooms were lost. Another classroom building suffered roof damage and some of its windows were blown out. Of the athletic facilities, the school’s baseball infield and dugouts were damaged. “So I am currently working from my car and trying to visit a few of the evacuation centers,” the bishop said. “In the city, they estimate that 1,500 homes and businesses have been lost,” he continued. “I have met numerous folks who are in shelters and who have no home to which to return. The sense of great helplessness is palpable. “You may even be inspired to offer your home to a family who has lost everything. Simply imagine yourself and your family going through what many are experiencing now in reality, and act accordingly,” he advised.